Author: Taylor, John H. Set In . . .
Bytown's early years - as military outpost and lumber town - did not presage greatness. Yet this rough little town (renamed Ottawa in 1855) did not remain insignificant, for geography and politics soon combined to place it at centrestage as Canada's national capital. Ottawa's fascinating story is recounted with skill and wit in John H. Taylor's Ottawa: An Illustrated History. Taylor tells this story in all its variations - the life of the French and the English, the poor and the rich; the politics of city hall and Parliament Hill; the social lives of Ottawans. Crisp and colourful, Ottawa: An Illustrated History focuses on the history of the city's relationship with its landlord - the federal government - but it also does more. It weaves together, for the first time, all the complex strands that over the years have shaped Ottawa's identity. 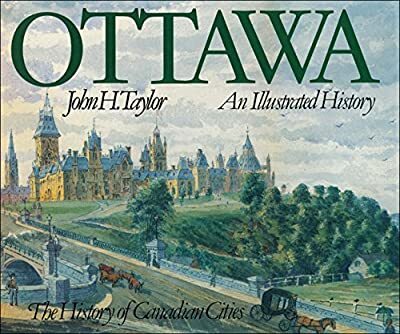 Ottawa: An Illustrated History is handsomely illustrated by 150 historical photographs and by a dozen original maps depicting the city's geographical evolution.